As I sit here recovering from a slight hangover, I ask myself, “should the Monday after the Super Bowl be considered a national holiday?” Answer: Yes! Roughly 111-million people tuned in to watch Tom Brady and the New England Patriots make history last night. That is over one-third of America’s population! Why wouldn’t this be a day off? It’s smart business and here’s why. The production employers are getting from employees is at an extreme low today. Most people were out boozing and eating their faces off last night (that’s not a bath salts reference). Instead of sitting home and catching up on weekly programs, Americans were attending social gatherings with friends and loved ones. These parties offer a ton of unhealthy food and booze. Those two things = no work! You’re probably asking, “Why would it be smart business?” Most companies are up to speed on how to cut utility bills. Typically, building managers have all utility systems on timers and motion sensors. The heat is lowered, lights are off, and no one is sitting on the internet pretending to work. So, are those savings enough? No, because employee morale is something you can’t put a price on. The Kraft Heinz Company got it half right by giving all of its salaried employees Monday off from work. I love the token of appreciation, but I wish it was taken a step further. It would have been great if this same benefit was offered to the hard working men and women throughout the entire company. 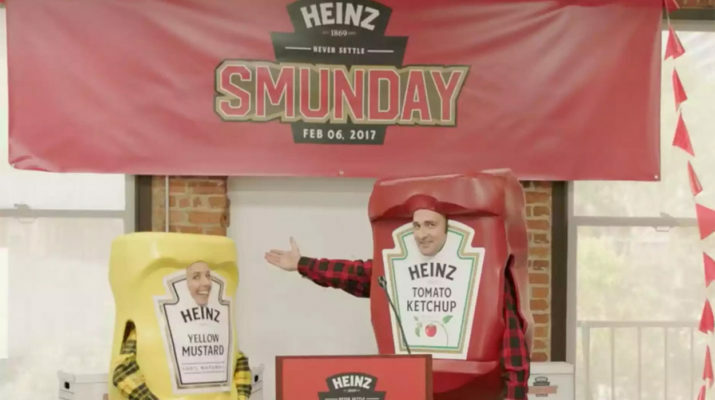 I hope this is the first step in the right direction for Heinz and next year this day of absence can be enjoyed by employees company-wide. In closing, the NFL will never move the Super Bowl to Saturday so our only option is to petition to have off from work the Monday after. Who is with me? Let’s get this ball rolling so we can enjoy 1 more beer or another wing during the most watched sporting event of the year.